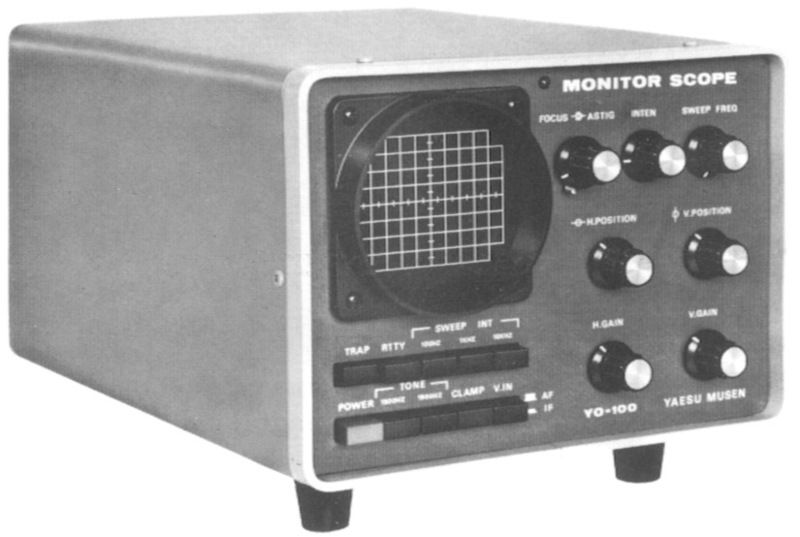 The Yaesu YO-100 monitor scope is designed to work with most transceivers for monitoring transmit signals from 1.8 to 60 MHz and it also functions as a conventional oscilloscope. It has a two tone generator at 1500 and 1900 Hz. 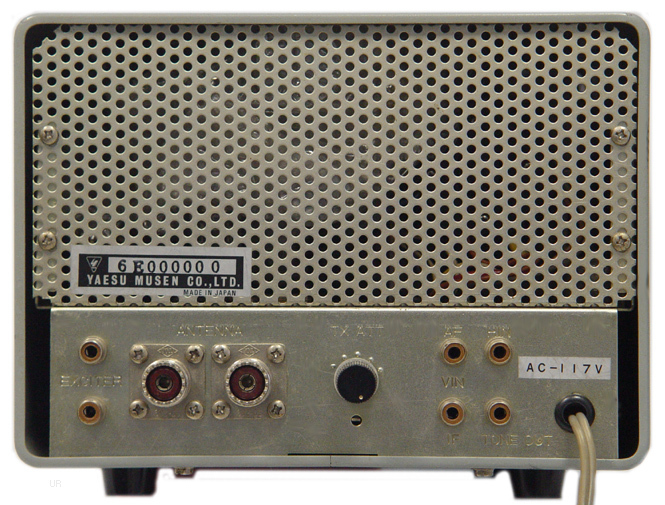 The rear panel features SO-239 jacks for the antenna connection. It requires 100/110/117/200/220/240 VAC 50/60 Hz 15VA. (210x150x290mm 6kg).